1. What is PrankTexts.com all about? 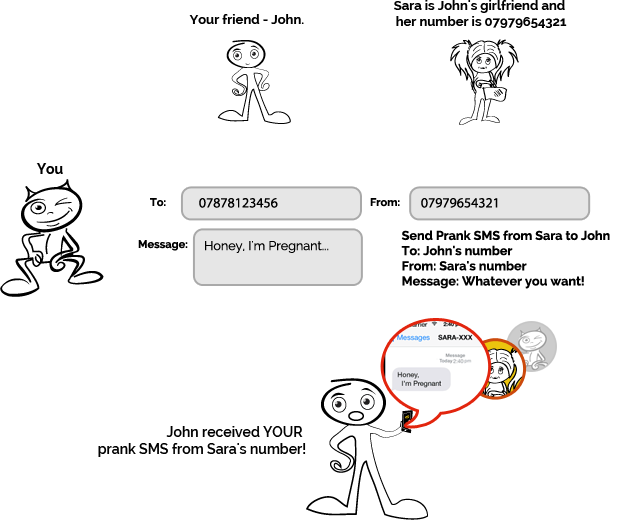 PrankTexts.com enables you to send spoofed or anonymous text messages from a number that is not yours. You can use it to play pranks on friends. It’s easy. You need to provide a unique username, a password, and your real mobile number. 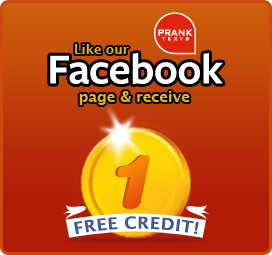 We will then send a 6-digit confirmation code to your mobile phone, and you are then registered to make your first FREE prank text! You are spoofing where the text message is coming from, and that is where the recipient thinks the message is actually coming from. 4. What can I enter in the spoofed ‘From’ field? You can customize it to any numeric string up to 11 characters (e.g. 07879123456). 5. Can the recipient reply to me? The recipient can reply to the message, but you won't be able to see their response. Instead, their message will go to where they thought the message came from. And that then means the joke is even funnier! 6. How good is our network coverage like? Our network coverage is first class. You can send prank texts from anywhere in the world to anywhere in the world, across any network. And all for one price! 7. What personal information do I need to provide? To register for an account with PrankTexts.com, you only need to provide us with a username and a valid mobile number to confirm your account. Nothing else. 8. Is this legal? Can I get into trouble? The service should not be used to commit any malicious, libellous or illegal acts. It is designed as a prank service, and not to cause harm or distress to recipients or their related parties. If you are unsure, please seek legal advice as different countries may have different laws governing such acts. 9. Why can I make payments in more than one currency? Our service is designed to work all over the world. So we offer our customers the option to make their purchases in the three most common currencies (USD, GBP, Euro) so that they do not lose out of currency conversion. 10. Why are my credits not showing in my account when I've made a payment? Credits should appear instantly after purchase has been made. If your SMS credits do not appear after 24 hours, please submit this form here and we'll fix it. 11. Why has my prank text not been received after I've sent a message? Messages usually reach the recipient within 60 seconds. Please ensure the number is correct. If still in doubt, send details (e.g. Recipient's Number, Country) to help@pranktexts.com and we'll follow up on it.